Photojournalist Jo-Anne McArthur will never forget the day she met Miracle the Asiatic moon bear in Vietnam in 2008. 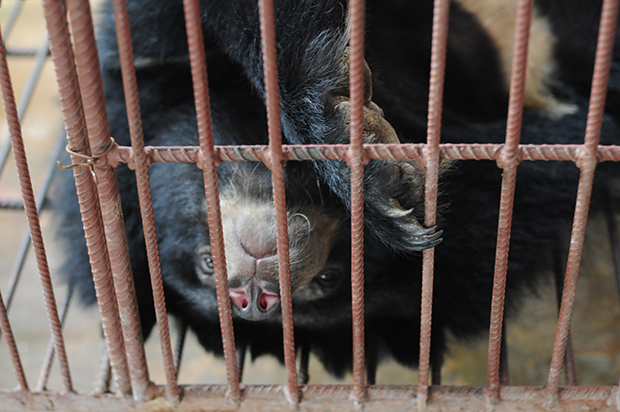 Miracle had lived eight years in a bear bile farm, where the animals are forced to live in small cages and undergo repeated invasive extractions. 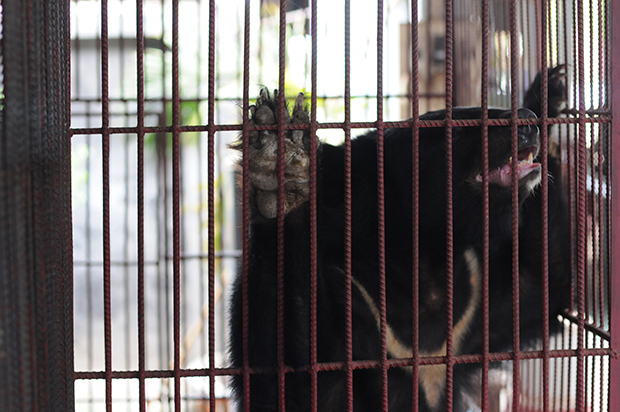 The bear had just been saved by Animals Asia and brought to their rescue center in Tam Dao, but the signs of her former trauma were plainly visible. The bars on her cage were rusted shut, and the top of her head was covered in calluses, a result of many hours spent rubbing her head against the bars in frustration and despair. 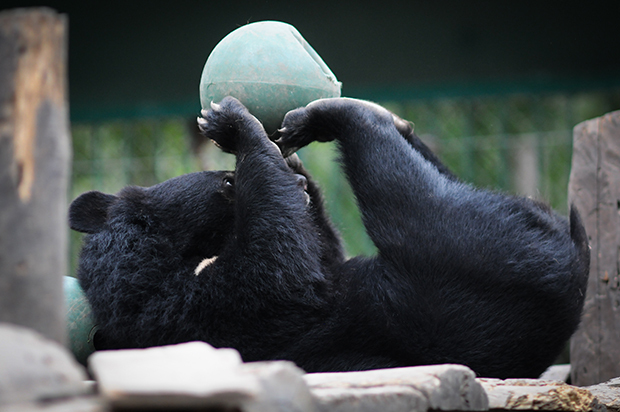 Bear bile is used in traditional Chinese medicine, though products with bear bile are available all over the world. The bile is used to treat various conditions, though there is no evidence to suggest it works in the treating most diseases. For the few things it can treat, like certain liver ailments, there are alternatives that are more humane and more effective. Still, the bile farming continues, legally in some countries and illegally in others. In Laos, where the growing industry has gained international attention, McArthur was able to see a bear bile farm for herself. She entered the farm by sneaking past a sleeping guard and only had eight minutes inside before she was caught. The bile extraction is excruciating for the bears. Some have permanent catheters, and others endure a process by which a hole is made in their gallbladders. “Crush cages,” which are used in some farms, are especially small. In a crush cage, a bear cannot move at all, and infections occur regularly. 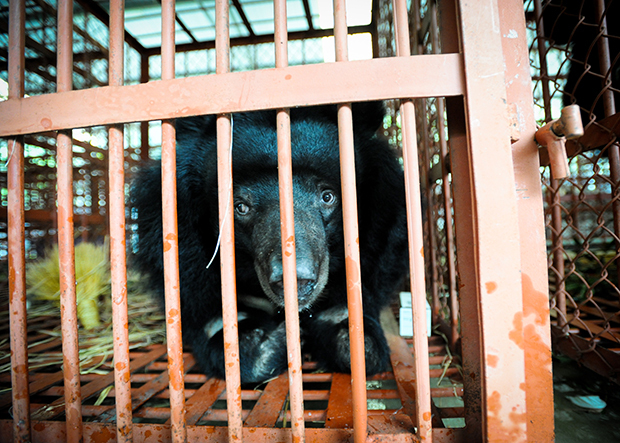 The bear’s skin can become covered in wounds in this kind of confinement. 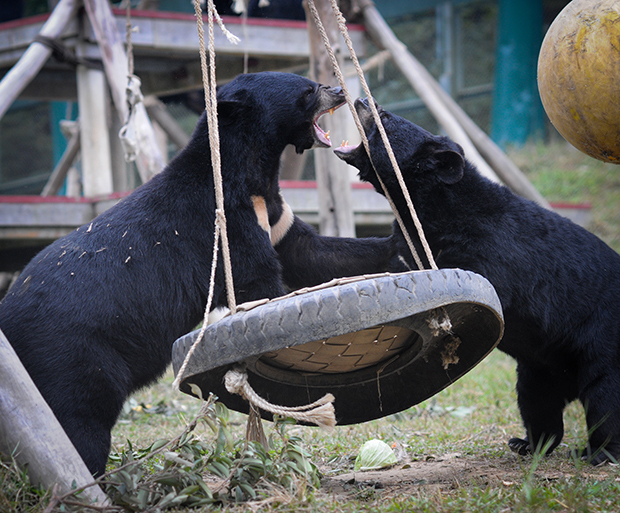 Stress behaviors, like the ones Miracle displayed when she first arrived at the sanctuary, are common in bear bile farms. In their cages, the bears spin in circles and bang their heads. Their paw pads are badly cracked. 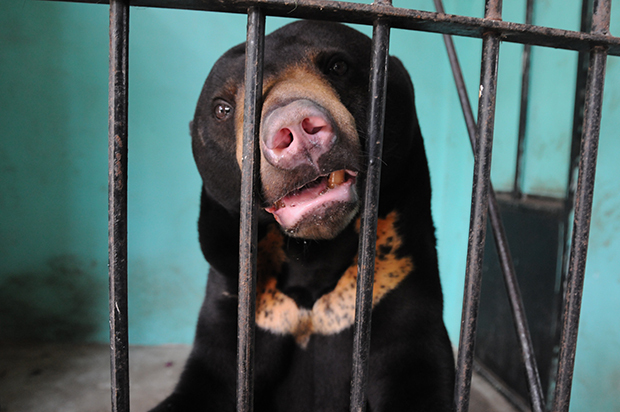 Many of them have badly worn teeth, with raw and exposed nerves, from trying to chew through the bars. By the time McArthur was introduced Miracle, the bear’s life was about to change forever, but understandably, she was still frightened and confused. “I wish we could have made her understand that she was heading to much greener pastures,” the photographer says in a short film she made about the bears. 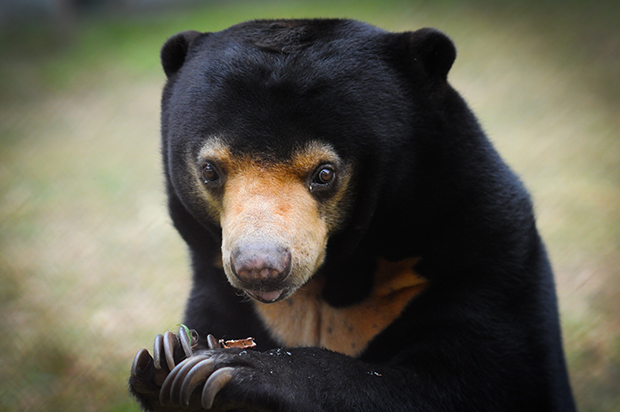 At the Animals Asia and Free the Bears sanctuaries, McArthur has seen Malayan Sun Bears and Asiatic Black Bears, like Miracle, find joy in a cruel world. 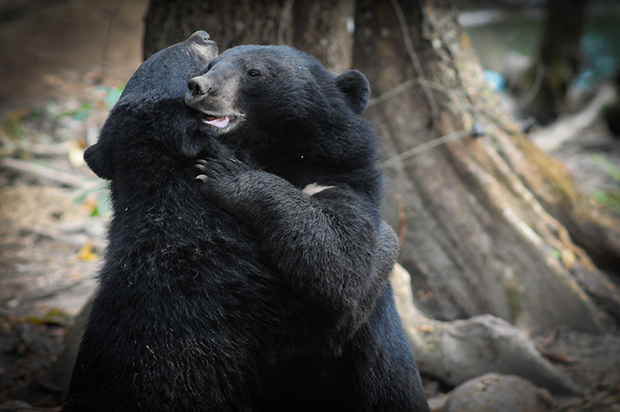 Bears are resilient, and despite their size, they are capable of great tenderness. These animals have a tremendous capacity for forgiveness. McArthur didn’t see Miracle again for three years, but when she finally did return to the Tam Dao sanctuary, she found a happy animal— an animal who played and foraged and explored. 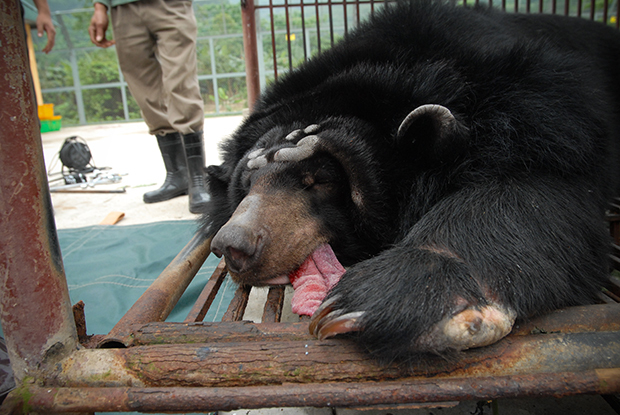 If you’d like to help bears like Miracle, make sure you aren’t buying products that contain bear bile. 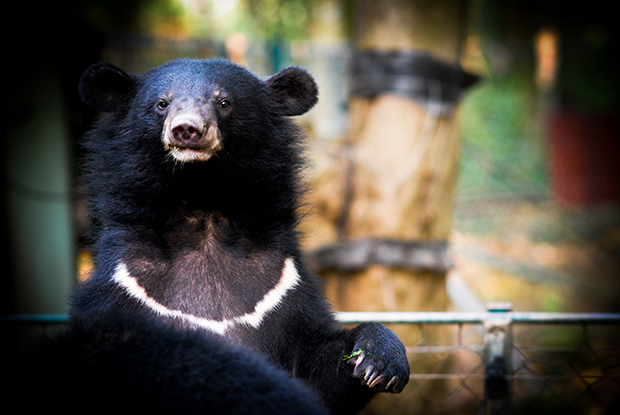 Please consider donating or volunteering at Animals Asia or Free the Bears. 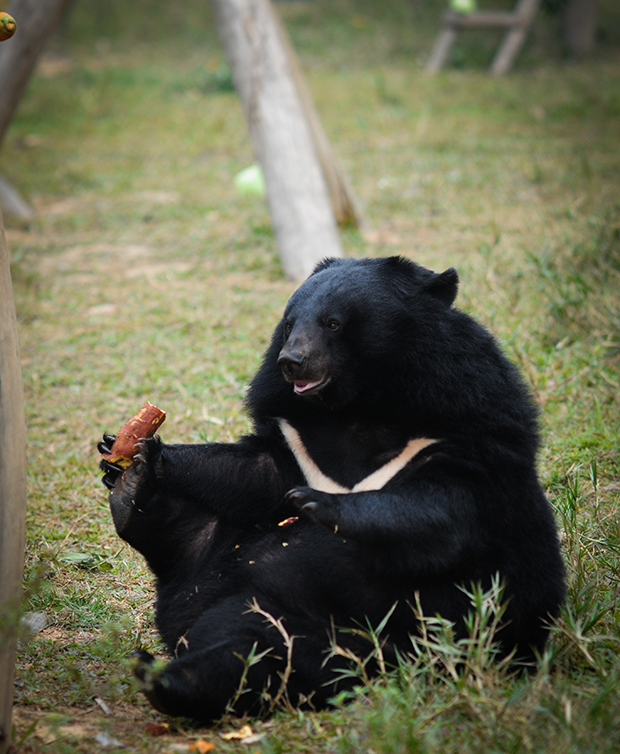 You can sponsor one of the Animals Asia bears here, and you can sponsor one of the bears at Free the Bears here. This post is the fourth in a series of seven stories we will be publishing about photojournalist Jo-Anne McArthur and the We Animals Archive. Read the first one on pig farming here, the second on fur farming here, and the third on veal and dairy farming here.